there's all kinds of interesting stuff in that dream sequence. Bob is in that utility room with wheels and pipes - and there's ringing - when he mentions his death bag. Sorta like a boiler room under a hotel, for instance. Doesn't it seem like this death bag should have showed up somehow? Or did it? Later I think Coop mentions Mike and Bob (different Mike, different Bob) and he says that after Mike saw God he shot Bob. How many times has Bob been shot, I mean damn. Hard to picture a gun in the Red Room, or above the convenience store. I wonder how that went down. Would a death bag refer to a body bag (smiling or otherwise)? That's a point though; surely if BoB kills his victims, its useless to him - the access to all that garmonbozia, gone. Although I suppose there's plenty of victims to be had. What's a couple of deaths in the grand scheme of things? Talking of Mike shooting BoB, I've never fully understood the attitude of the inhabitants of the Red Room to BoB. They seem to be supportive of him, working in conjunction even, but then sometimes...take the end of FWWM. Mike and TMFAP don't appear too pleased with BoB, they're more interested in garmonbozia. And why is Mike allowed back into the Red Room in The Return if the creatures of the Red Room are on BoB's side? What are the evolution of the arm's aims? Is Mike here a doppleganger? As someone else pointed out the lamp is from the 1939 Worlds Fair . There are 4 official colors of the lamp that I am aware of . They are Pink, Green, Blue and the ultra rare Yellow. 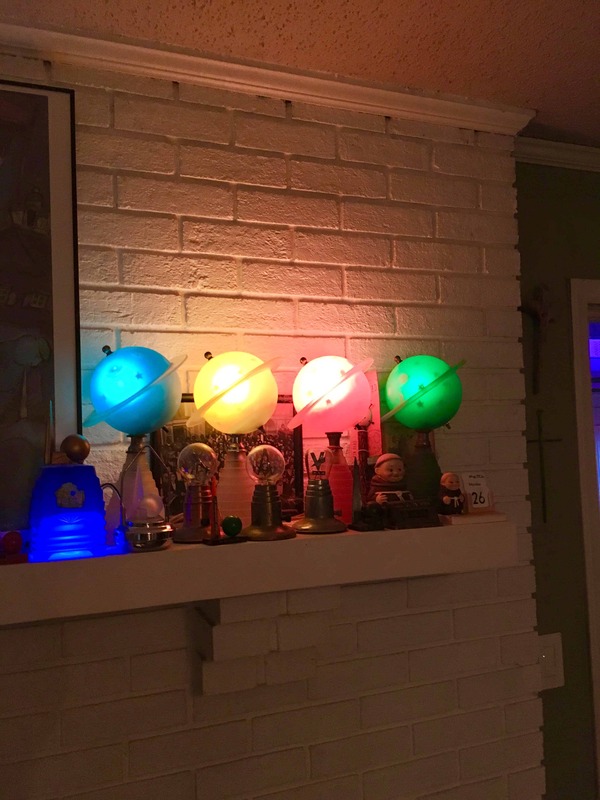 There are other Saturn lamps from the era and beyond as well. There's a lot going on in this discussion. (Conversation is lively, haha.) Allow me to offer my two cents. 1) Shadow in Red Room: I always assumed it was an owl. Since I've never had to defend this position, however, I don't have a very good argument. I think it's worth noting that Saturn is the slowest of the planets. Time moves differently in the waiting room, of course, but I don't think the shadow is Saturn - which is already sufficiently represented by the lamp. 2) Saturn/Jupiter: I agree that it's the astrological Saturn and Jupiter that are significant here. Saturn is the "big daddy" malefic planet (constriction/limitation) and Jupiter is the "big daddy" benefic planet (expansion/ascent). Because both these planets move so slowly, their conjunction occurs every 18-20 years, per Wikipedia. I think it's significant that there's a Venus statue (benefic) in the Red Room, and I'm guessing Mars (malefic) has its counterpart in the Arm. 3) Red Room's Relation to Bob: I think the Red Room, or waiting room, is neutral ground. It must be significant that the Arm plays host in Seasons 1/2, whereas Mike plays host in Season 3. I think they're both present in FWWM? This may signal Cooper's overall trajectory: he's headed towards the Black Lodge in S1/S2 and away from it in S3. 4) Garmonbozia: My take on the garmonbozia tribute paid to Mike might be idiosyncratic. 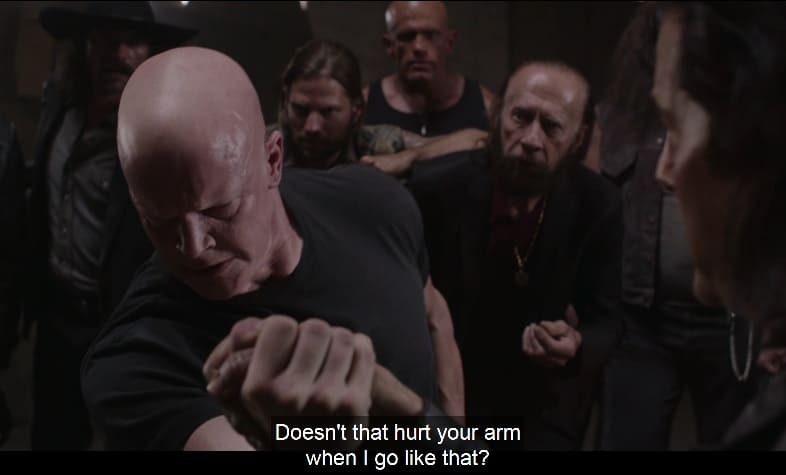 The way I see it, the garmonbozia ("pain and sorrow") rightly belongs to Mike because he gave up killing. Leland's only redeeming feature is the regret he feels over abusing/killing his daughter. This regret is notably absent until Bob "pulls the ripcord" and exits Leland in S2. Mike was unable to stop Bob from killing again, so he demands the garmonbozia that is his by right. Leland belongs to Bob, but Leland's pain and sorrow belongs to Mike. I agree with the observation made above that Bob sees his hosts as expendable, even if some hosts (Laura, Cooper) are more enticing than others. 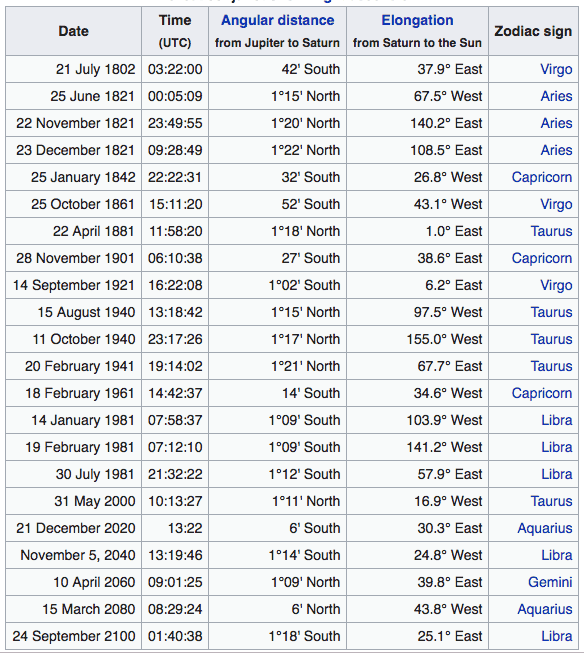 Based on the table I grabbed from the "Great Conjunction" Wikipedia article, there is no Jupiter/Saturn conjunction anywhere near 1989! Is this further evidence suggesting that Twin Peaks takes place in a parallel world?